The Atlas V rocket had been just minutes from lifting off when its launch was scrubbed on September 16 due to a leaky hydrogen system that caused a ball of ice to form near the rocket’s upper stage umbilical. 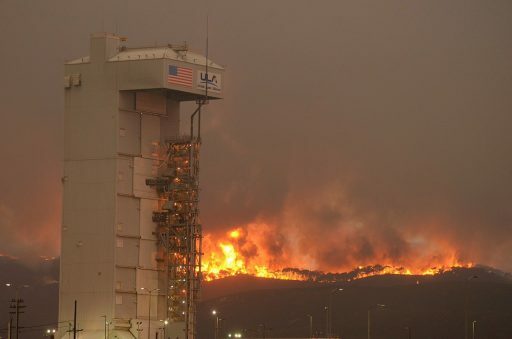 Teams decided to push the launch two days to replace the faulty component, but little did they know that Atlas V would end up having to ride out the largest wildfire in Vandenberg’s history, threatening valuable space assets at the launch base. 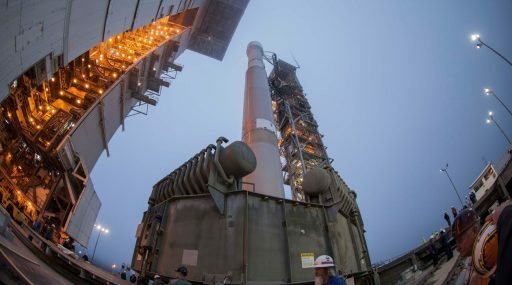 The fire started in a remote canyon on South Base on Saturday, September 17 and was well clear of any range assets – allowing Atlas V to head into a launch countdown in the very early hours on Sunday. By that time, the fire had continued to spread and required the full attention of firefighting crews at the base. With no firefighters on standby for the launch, Atlas V backed out of the countdown and the launch was rescheduled for the following week. But the situation grew more dramatic with each passing hour and the fire spread across a very large area despite the best efforts of over a thousand firefighters who battled the blaze by fighting the fire from the air and placing containment lines. The area on South Base had not burned in nearly 40 years and a persistent drought created extremely volatile conditions for fire spread. The situation was further complicated by a second fire on North Base, requiring forces to be relocated to avoid fires spreading to Air Force Base assets and housing. 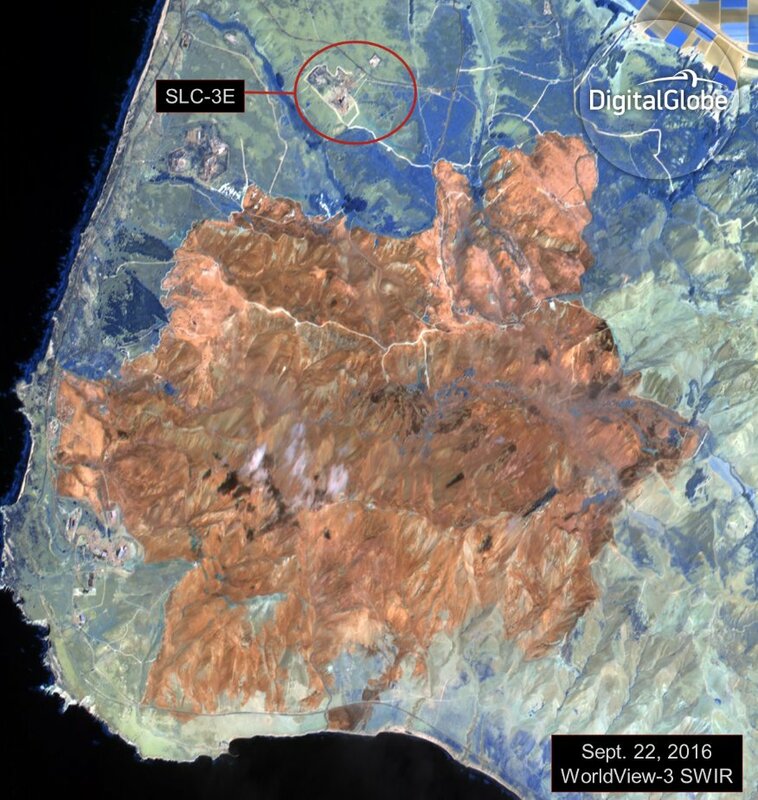 On September 24, one week after the fire started, the 30th Space Wing was finally able to report the ‘Canyon Fire’ had been fully contained after consuming more than 50 square Kilometers. The blaze was stopped near the perimeter of Space Launch Complexes 4 and 6 and around one Kilometer from Space Launch Complex 3E where Atlas V & its multi-million Dollar payload were riding out the fire inside the protective Mobile Service Gantry that had been sealed off to keep the 58-meter tall rocket safe. No launch facilities or Western Range assets were consumed by the fire, but significant damage was done to electrical and communications infrastructure. Over 300 Kilometers of communication and power lines had to be visually inspected, requiring teams to hike through mountainous terrain and trace the copper and fiber cables. Outside personnel was requested by the 30th Space Wing to complete checks of range communications, one wire at a time. 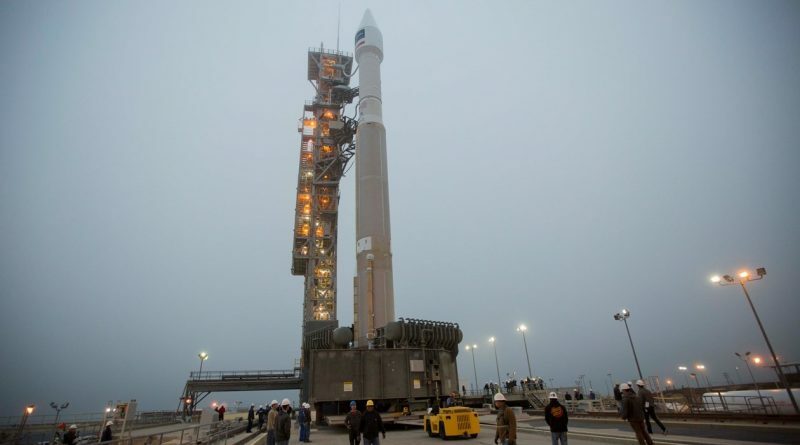 Repairs made good progress and United Launch Alliance held the Atlas V rocket in readiness to be able to launch as soon as the Western Range was ready to support the operation. Launch has been firmed up for a 16-minute window opening at 18:30 UTC on November 6, 10:30 a.m. local time. Making its first Vandenberg launch in over a year, Atlas V will thunder off powered by its two-chamber RD-180 engine before swinging onto an ascent path to the south to deliver WorldView-4 to a polar orbit. The booster will fire for just over four minutes before handing off to the trusted Centaur upper stage tasked with lifting the satellite to a 611 by 628-Kilometer orbit by firing its engine for over eleven minutes. 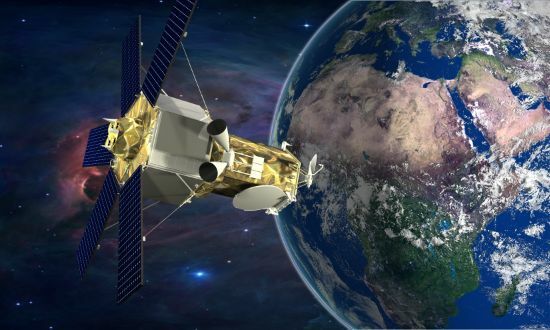 Separation of the satellite is planned 19 minutes after liftoff followed by a secondary mission to deploy seven CubeSats riding in a dispenser installed on the Centaur upper stage as part of a National Reconnaissance Office-sponsored rideshare opportunity. 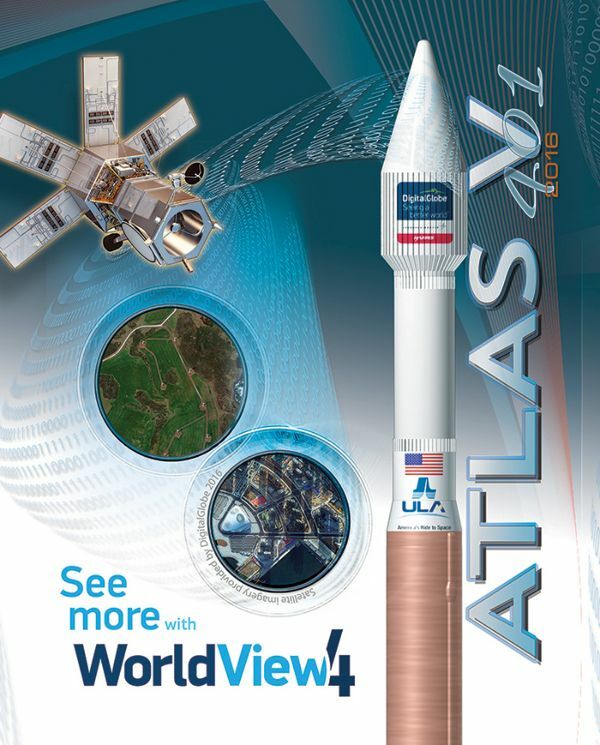 Both, the Atlas V and WorldView-4 satellite, can look back at a longer-than-usual road to launch with the Atlas originally to be flown in March with InSight and WV-4 once had a 2013 launch date when it was still named GeoEye-2. 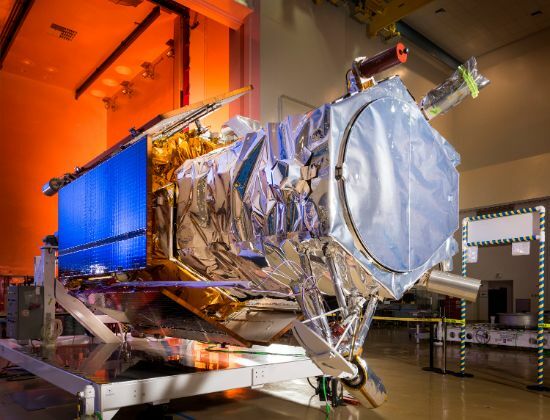 Its launch was put on hold when GeoEye merged with DigitalGlobe and the decision was made to keep the satellite in storage until it was actually needed in orbit. 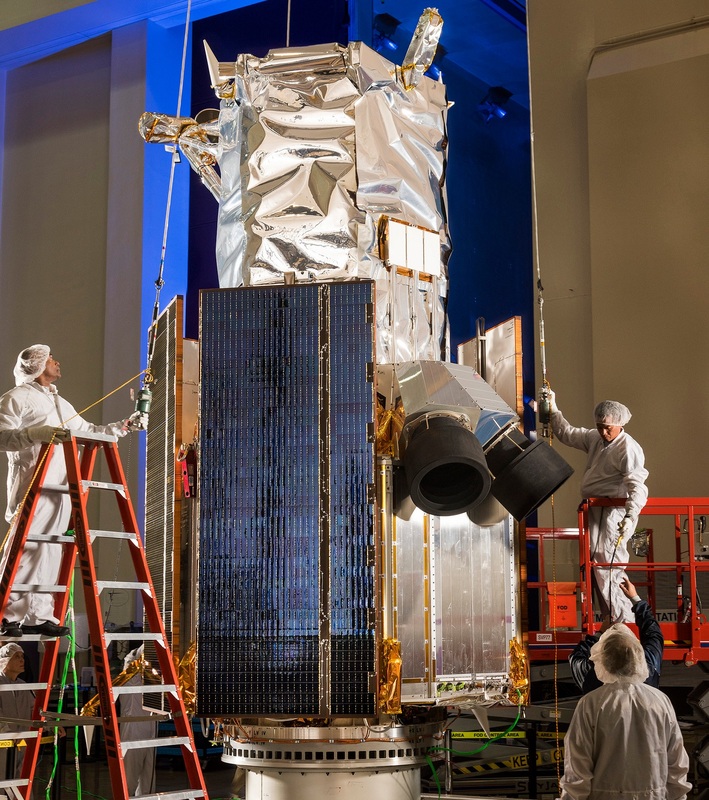 In mid-2014, the satellite was re-named WorldView-4 and launch was firmed up for 2016 to help DigitalGlobe satisfy demands for ultra high-resolution Earth observation products. DigitalGlobe was cleared by the U.S. Department of Commerce in 2014 to begin offering its highest resolution imagery on the commercial market after the company had been regulated only to sell high-resolution products to U.S. government.